Shocks and struts are essential components of any Jeep’s suspension. Enhance the performance of your Grand Cherokee WK or Commander XK with the Rancho RS5000X Front Strut. This bolt in strut Features Dynamic Rebound Spring Technology (DRS). DRS uses a unique internal spring system that is specifically designed to improve overall control under any driving conditions. The enlarged 2-1/4” twin tube shock body, along with low friction self-lubricating seals make this shock able to handle off road obstacles while maintain a comfortable on road feel. 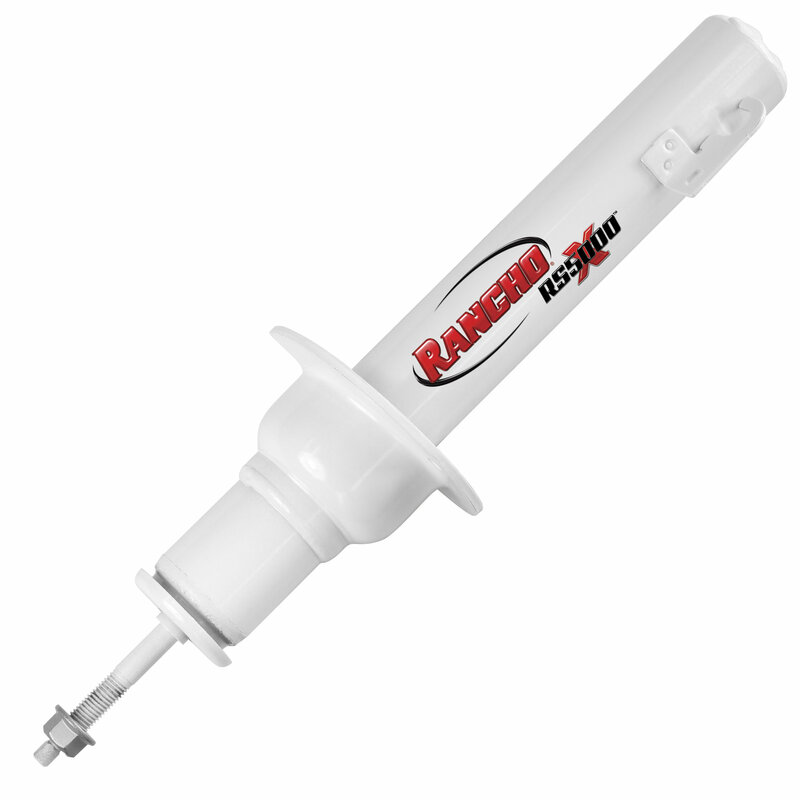 Piston: Rancho uses glass filled, Fluon banded, 1-3/8” diameter, sintered iron pistons in their RS5000X shocks. Fluon is a combination of glass and plastic that is engineered for its low friction properties. This high-tech piston rides on a heavy duty 16mm nitro-carburized rod. Progressive Engagement Valving: RS5000X shocks and struts feature Rancho’s patented progressive rebound and compression discs. These specially designed discs automatically limit the flow of shock oil depending on the speed of compression. This gives your Jeep more control and comfort at any speed. Rancho’s Cross Tuned Technology is perfect for both highway driving, and off-road abuse. Dynamic Rebound Spring (DRS) Technology: Rancho’s DRS uses a precisely tuned spring and internal geometry to reduce body roll and eliminate rod overextension. Bushings: Rancho uses black natural rubber bushings in their shocks. Unlike other bushing materials materials, natural rubber is silent and works as an additional cushion against jolts and bumps. Shock Body: The RS5000X’s heavy duty 2.25” twin tube shock body is built to last with double-welded loops and a 35mm bore.